All retirees who have worked for local, state, or federal government are entitled to certain health benefits. Looking for health benefits? Informing the NJDPB of a change of address is easy and helps ensure that you will receive important information without delay. Change your address at any time by calling the NJDPB’s Automated Information System at (609) 292-7524. Please have your Social Security number available when calling. Change your address online using MBOS. Click the address on your MBOS Home Page to open the “Change of Address” application. If you are enrolled in the State Health Benefits Program (SHBP) or School Employees’ Health Benefits Program (SEHBP), using the Change of Address feature in the Automated Information System or MBOS will also update your address information with the SHBP/SEHBP. Note: SHBP or SEHBP members who do not receive a monthly pension check cannot use the MBOS Change of Address application and should write to the NJDPB. If writing to change your address, use the Change of Address Form or send your change of address information in a letter to Pension Payroll, Division of Pensions & Benefits, P.O. Box 295, Trenton, NJ 08625-0295. Include your name, retirement number or the last four digits of your Social Security number, both the old and new addresses, the date of the move, your daytime telephone number, and your signature. When a retiree dies, the NJDPB will pay any available death benefits to the last named beneficiary, or beneficiaries, on file. It is very important to keep your beneficiary information up to date. You should update your "Designation of Beneficiary" any time you experience a major life event such as marriage, civil union, divorce, birth or adoption of a child, or the death of a family member. You can view, change, or update your Designation of Beneficiary through MBOS. You can also update beneficiary information by submitting a Designation of Beneficiary form. This form is for retired members only. Electronic Funds Transfer (EFT) — also known as Direct Deposit — is the automatic deposit of your monthly retirement check to your bank account. Because the deposit of your retirement check occurs automatically, you will not have to make a special trip to the bank just to cash your retirement check, and your retirement check can never get lost or stolen in the mail. Use MBOS to authorize or change your Direct Deposit online. Use the Automated Information System at (609) 292-7524 to make changes to your existing Direct Deposit authorization. Note: If changing banks or accounts, be sure to keep the old account open until EFT processing is fully completed and you see the benefit payment deposited in the new bank or account. Direct deposits are normally scheduled on the first day of the month, unless the first falls on a Saturday, Sunday, or State holiday, when they are deposited on the prior business day. This section contains letters that the Division of Pensions & Benefits has recently sent to selected groups of retirees. The letters are provided for archival purposes only; therefore, some information may be out of date and/or superseded by later changes. 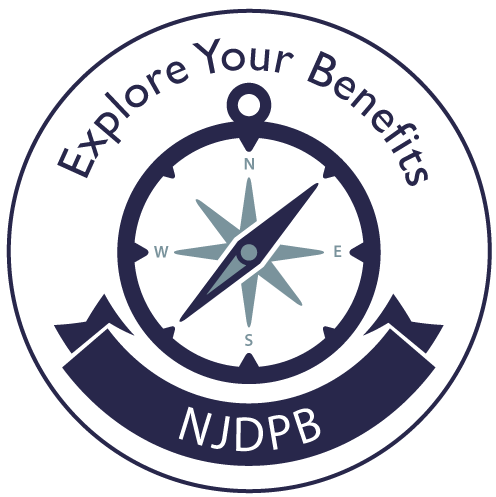 News and benefit information is also provided to retirees through the NJDPB's retiree newsletters.